It just wasn’t that good. Discovery of Romance is love triangle plotline, but with a bit more weight on each side for once. Eric Moon’s character is the former lover of Jung Yoo Mi’s character. They were together five long years before breaking up. 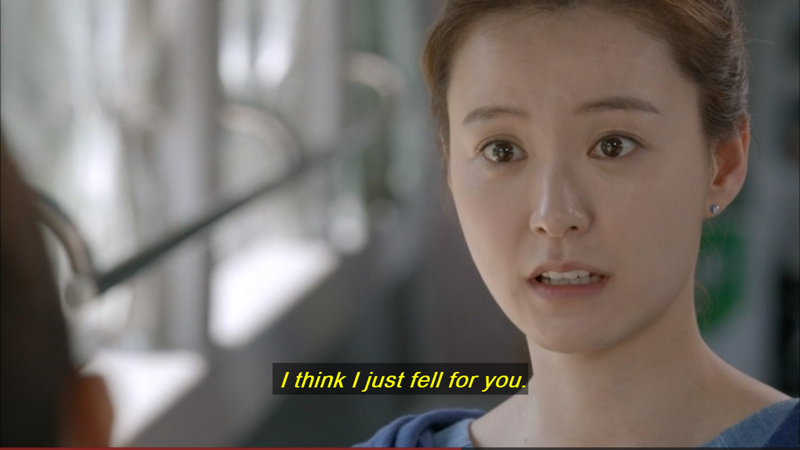 Now she’s with Sung Joon’s character, in a strong, healthy relationship. That is… until her old lover turns up again and wants to try again. Despite loving all the actors and the exploration of the complexity of relationships, I didn’t think too much of this drama. I finished it, though I confess I started to skim towards the end. Overall Rating – 5/10. When The Heart Is Involved, Honestly Is Easier In Theory Than In Practice. Let’s start with the side couple. These were the two best friends. They were friends with each other as well as friends with the leads (well, not Eric Moon’s character). They provided the much needed comic relief. It took a long time for me to figure out they weren’t brother and sister. I mean… they use the exact same hair dye, how was I supposed to know??? These characters were played by Yoon Hyun-Min and Kim Seul-Gi. Once I figured out they weren’t related, I shipped them hard and was happier when they got together than our lead characters. Their characters weren’t just around for a side romance and comedy, however. They were the sounding boards, the secret keepers, the judges and juries of our lead triangle. I liked that this show illustrated how much a relationship strain can have on everyone, including those around us. And so we have our main couples… the triangle. Quadrangle. Whatever. So… on to Eric Moon and Jung Yoo Mi. They have great chemistry together. It was not hard to believe they fell in love at first sight. He’s handsome and has a charismatic smile and she is quirky and tends to be adorable the more flustered she is. Their story was awesome and real, showing the height of romantic love and the lows. I also liked the exploration of different points of view, exploring how each people experiences the same thing in their own way, with their own interpretation. But there was so much WRONG with this show. There was a really annoying “interview” technique used in this drama, where the characters are talking to the camera as if answering questions. But you never hear the stupid questions! Or see whomever is supposedly interviewing them. Ugh. I just didn’t get it and it added NOTHING to the show so why bother? They also used a lot of voice over “thoughts,” and it seemed over kill. Neither one of these characters were insightful OR poetic, which is why they struggled so much in their relationships, so when they’re suddenly voicing over some profound observation on the nature of love, I found myself rolling my eyes. We don’t need narration. We don’t need interviews. Just use one or the other. Or neither. I prefer a show over tell. On the other side of these two we have the “current” relationship, involving Jung Yoo Mi’s character with the extremely tall Sung Joon. Sung Joon plays a plastic surgeon (I know, right? It just seems such an awkward profession for this guy’s personality… even with the backstory explaining why he went into it, the whole thing seemed dumb). Anyways, the two current love birds met through a mutual acquaintance and hit it off. They’re pretty cute together too. Not quite the same spark, but still a nice couple. There’s a lot of booty in this show. In a way, that’s nice cause so many dramas are PG when it comes to romance. This show gave us lots of touching and hugging and flirting and obvious bedroom scenes. Imagination was not required. It wasn’t soft core or overt, but clearly in both instances the relationships were mature and realistically domesticated (pre-wedding ring). Still, it took about five seconds to figure out these two were doomed. He quickly melted when he found his childhood sweetheart, and she was far too emotional over her previous boyfriend to be believably “moved on.” So we all just had to wade through it until they reached the same conclusion we had after episode three. It was just too long with too little suspense as to the outcome or added interest to the basic storyline. This show could have been maybe 10 episodes and been a lot better. Maybe even perfect at 8 episodes. There was a lot of fodder. And several points were made so many times I was actually insulted. We get it! Geesh. I admit I loved the jealousy between the two male leads. Again, it was over explained with “thought” narration and that just wasn’t necessary at all. Their acting abilities were strong enough they related all their emotions with expression, body language, and the actual script. Their all out brawls ruled. It was a nice mix of attempted professional fighting that merged into sloppy fist throwing and pushing. If I didn’t like the three principle actors so much, I probably would have jumped ship around episode five. I thought about the way this show was presented and found myself wondering what would have made it better for far too long. Should it have been chronological? Should it have ditched the “interview” business? Should it have had less narration? More action? Less episodes? I’m not entirely sure what would have made it better… but it seems a shame it wasn’t better, considering the plot is interesting and the actors are awesome.